Marijuana isn’t the only thing cannabis is famous for. Hemp, the tough, fibrous part of the plant, has long been used to make ropes, coarse fabrics and even paper. The innovators at Albany, New York-based Green Built have come up with yet another way the flowering plant can be of use to us: stunning modular tiny homes fashioned out of hemp. Hemp-based architecture has been around for some time now, with the cannabis-derived substance boasting a range of unique features that together make it a sustainable and incredibly versatile building material. 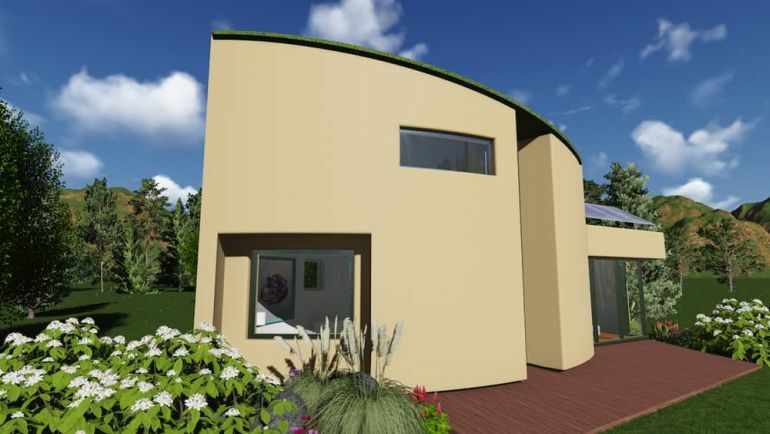 According to the developers of HempHome: Tiny+, hempcrete, which is a non-toxic mixture of lime, water and hemp shives, is known for its good insulation properties. More pliable than conventional lime mixes, it serves as an efficient moisture regulator , and is mold, fire as well as pest resistant. Used extensively in the United Kingdom, it has very low carbon footprint, and does not contribute to global warming. As the team at Green Built points out, the idea for the HempHome: Tiny+ was conceived back in 2005, when Hurricane Katrina ravaged thousands of homes along the Gulf Coast of the United States. 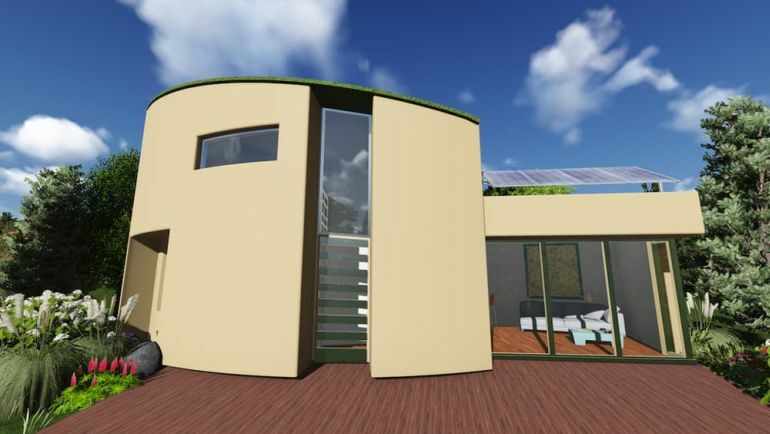 Envisioned as a durable, climate-resistant dwelling, HempHome: Tiny+ is an eco-friendly, easy-to-erect, prefab structure built using innovative “hemp-lime panel technology”. Thanks to its ingenious design, it remains surprisingly warm in the cold winter months, while also eliminating the need for external cooling systems during hot, sultry summers. 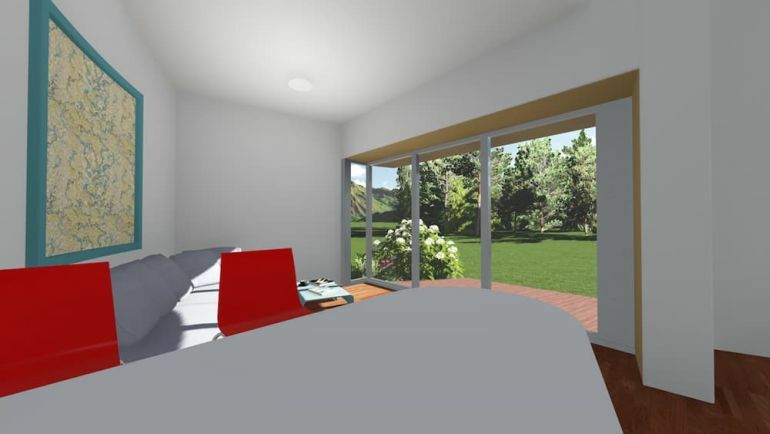 The hempcrete ensures superior indoor air quality as well as enhanced ventilation. Measuring around 522-sq-ft (around 50-sq-m) in area, this modular tiny dwelling houses a deck, living space, well-equipped kitchen, bedroom, foyer and a modern bathroom. Despite its somewhat simple and minimalist design, the structure provides its occupants with unparalleled comfort and luxury. If everything goes according to plan, the architects will have a full-sized prototype ready by fall of 2016. 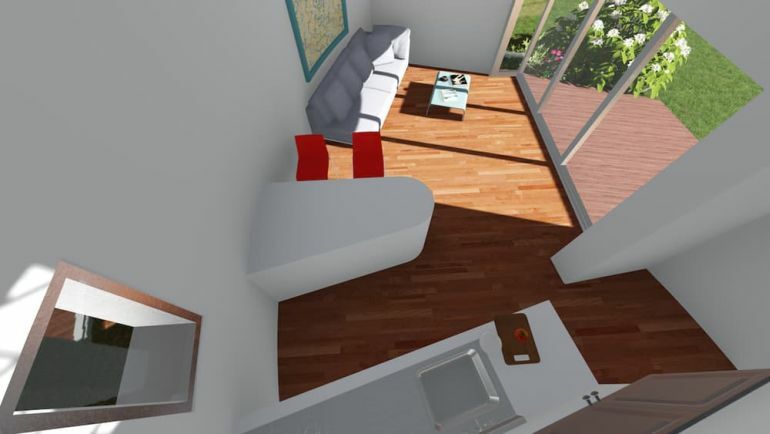 The HempHome: Tiny+ is being constructed to meet the strict energy efficiency and healthy building standards set by the Passive House Institute (PHI) as well as the Living Building Challenge. 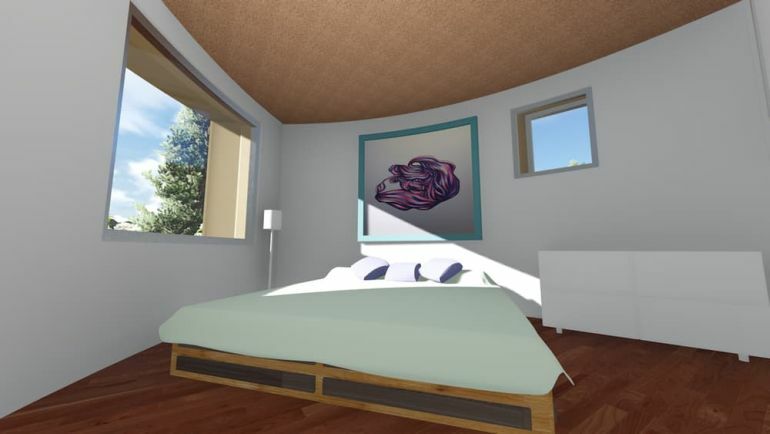 In addition to a green roof, the tiny home features specially-designed, triple-glazed windows, which in turn help maintain a steady indoor temperature. 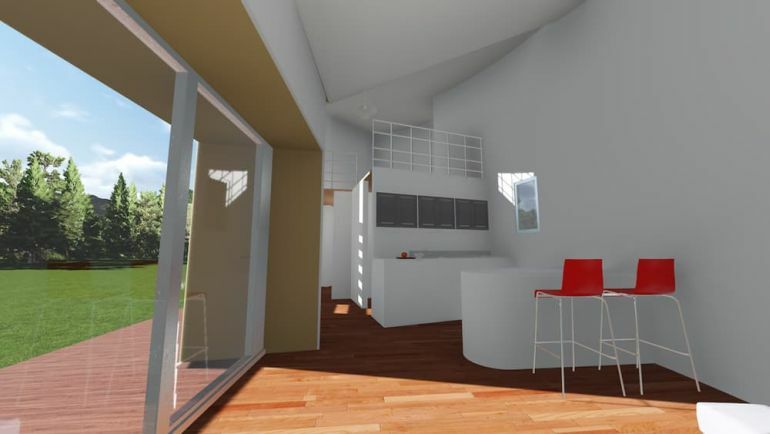 The house will be powered almost entirely using renewable energy, harvested with the help of a roof-mounted solar array. 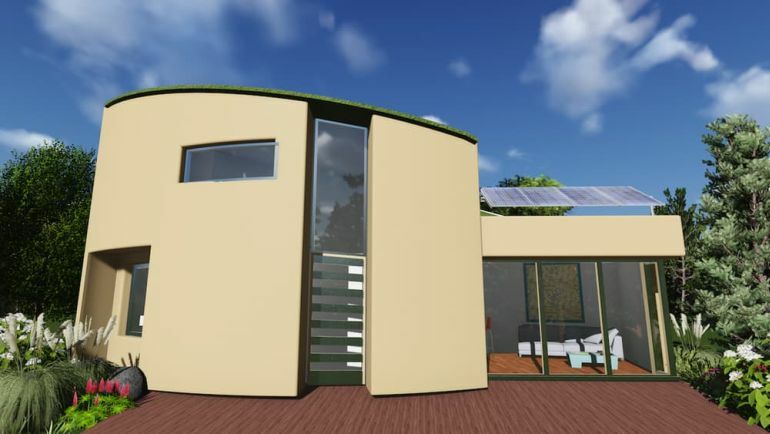 Significantly less expensive than traditionally-built homes, these prefab modules will provide the owners with the freedom of living off-the-grid, while also fostering a sustainable, environmentally-conscious lifestyle. The HempHome: Tiny+ is currently undergoing a crowdfunding campaign at Kickstarter. Rewards for bidders include a $1,000 HempHome kennel and a $5,000 shed made from the same material. To learn more about HempHome: Tiny+ , head over to its official website.